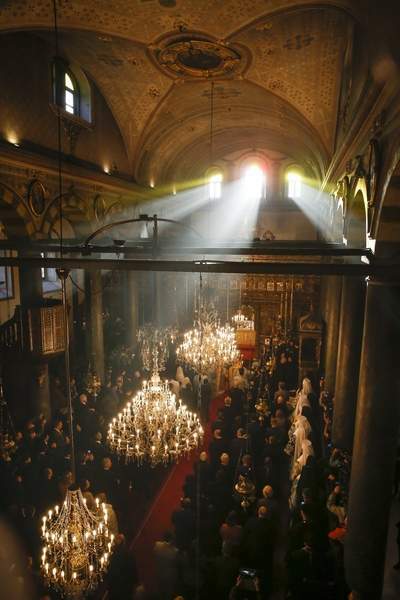 ISTANBUL – The Ecumenical Patriarch of Constantinople on Sunday presented a decree of independence to the head of the nascent Orthodox Church of Ukraine, formally severing it from the Russian Orthodox Church. 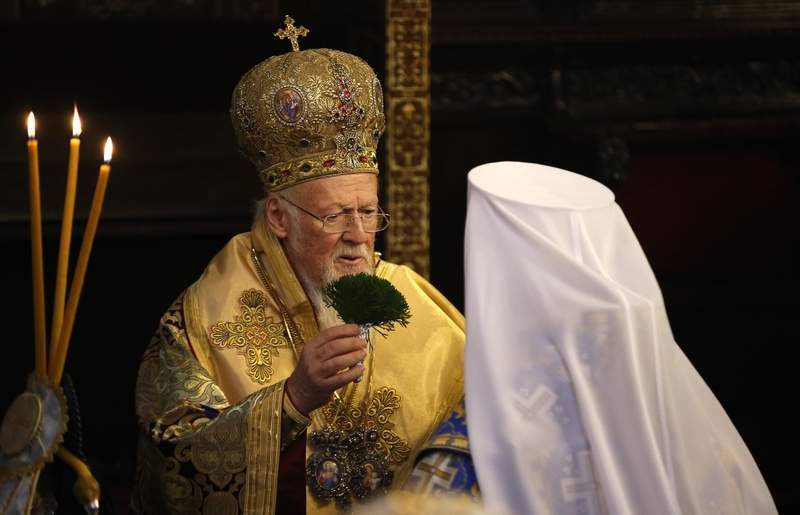 In Istanbul, Patriarch Bartholomew I presented the Tomos, a scroll containing the decree, in a symbolic ceremony sanctifying the Ukrainian church's independence. He signed the decree a day earlier. Until the decree, the Orthodox church in Ukraine that was a branch of the Russian church was considered legitimate and two others in Ukraine were regarded as schismatic. The new church unites the two formerly schismatic bodies. Many Ukrainians had resented the status of the Moscow-affiliated church. The push for a full-fledged Ukrainian church was bolstered by fighting in eastern Ukraine between government forces and Russia-backed rebels. "The Tomos is one more act declaring the independence of Ukraine," Ukrainian President Petro Poroshenko said Sunday. Poroshenko, who had pushed for the new church, attended the presentation ceremony in Istanbul. Bartholomew I, considered first among equals in Orthodox patriarchy, announced the Orthodox Church of Ukraine has become the 15th independent Orthodox church. He argued Ukrainians "desired ecclesiastical independence" for centuries and never accepted that they were part of the Russian church. The patriarch also entreated that the new church "strive for unity and peace" with clergy who remain under Moscow's orbit and help reconciliation to "help them understand that Ukraine deserves a united church body." Still, the move forces clergy and believers in Ukraine to choose between belonging to Moscow-backed churches or the new Ukrainian Orthodox one. Following Bartholomew I's October decision for independence, the Russian church severed ties with Istanbul, the center of the Orthodox world. "Instead of healing the schism, instead of uniting Orthodoxy, we got an even greater schism that exists solely for political reasons," Archbishop Kliment, a spokesman for the Russia-affiliated church in Ukraine, said Sunday. Metropolitan Epiphanius I, who was elected last month by Ukrainian Orthodox leaders to head the new church, will take the decree to Kiev, where it is to be displayed Monday at the Sophia cathedral complex in downtown Kiev.